Are you wondering if your loved one has a hearing loss or if they are just ignoring you? Hearing loss can add so much frustration to an already challenging environment as we try to care for our family members. Many people with hearing loss can hear a person talking but they are not getting all the words and meaning of the sentence. This often sounds like “mumbling” to the person with the hearing loss. Sometimes a person can appear to be confused or even appear to have signs of dementia when it could be that they just can’t hear or understand what you are trying to communicate. Sergei Kochkin, Executive Director of the Better Hearing Institute, explains how hearing loss treatment is shown to improve communication in relationships, emotional stability, and sense of control over life events. It can also reduce isolation, anger and frustration in relationships, along with depression and anxiety. 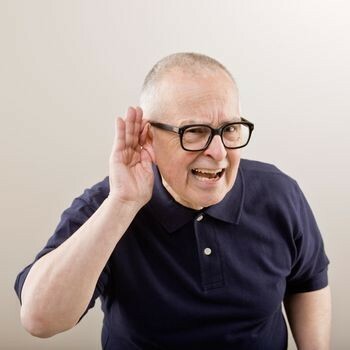 Many people who suffer with untreated hearing loss eventually reach a point where they avoid social activities for fear of saying the wrong thing, feeling foolish, or just being left out of conversations. Hearing loss can easily be detected by simply scheduling a hearing evaluation. A complete hearing evaluation should be conducted in a sound-proof booth where the person is given tones at various frequencies and they push a button each time they hear one of the tones. Then speech testing is performed where words are repeated. This provides a measure of a person’s ability to differentiate various speech sounds and helps set reasonable expectations. Some offices also include “speech in noise” testing since this is a concern for most people. During speech in noise testing, several sentences are spoken by a woman with different degrees of background noise occurring. The person with hearing loss repeats sentences. A "Speech in Noise" score is calculated based on the number of words that the client can repeat (doesn't have to be the whole sentence). The score provides valuable information on levels of technology a person would actually need, in addition to a discussion on reasonable expectations of conversation in a noisy restaurant. Many offices do not charge for this evaluation so you will want to ask about this when you call to schedule an appointment. Ask for an actual demonstration of what it will sound like if hearing aids are recommended. Note that a thorough evaluation, consultation and hearing aid demonstration could take up to an hour and a half so you will want to plan accordingly. You want to leave the appointment with your concerns adequately addressed. Other issues to investigate are cost, payment plans, service after the sale, guarantee, and trial period. You may also want to ask “How do we know if the person with the hearing loss is getting the full benefit of the hearing aids?” There are great validation measures to address this issue, along with providing realistic expectations with the use of hearing aids. These are a few things to look for as you pursue help for your family member. Feel free to ask questions and be sure you feel confident with the hearing specialist and staff in general. Follow-up service and retesting for years to come are important factors in getting the most benefit from hearing aids. The question you must answer is: What do I have to lose? Continued frustration, embarrassment, and isolation. You decide. Prescott AZ 86301, (928)776-0304. Website: www.miracle-ear.com.